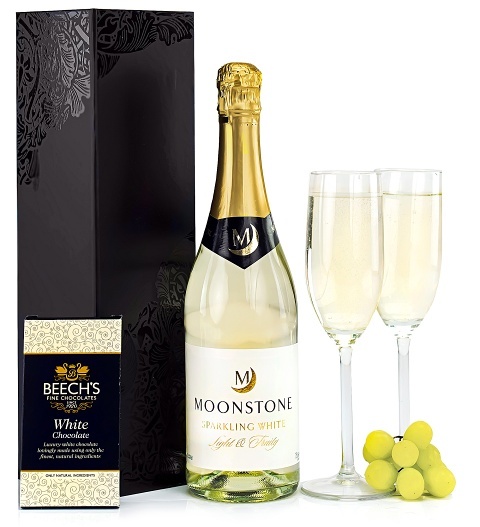 A bottle of sparkling white and luxury white chocolate make the perfect pampering pair. This beautifully packaged and presented wine and chocolate hamper is the perfect gift to send the best of wishes to celebrate that special occasion. All beautifully packaged for a perfectly elegant gift.